Since I came back from New York, I really have had a hard time going back to the sewing room. I’m thus thankful for pattern testing to get back there!!! So let me show you Itch to Stitch‘s newest design, the Nottingham Top. I do love Kennis’ patterns because they are well-drafted and the instructions are so clear. 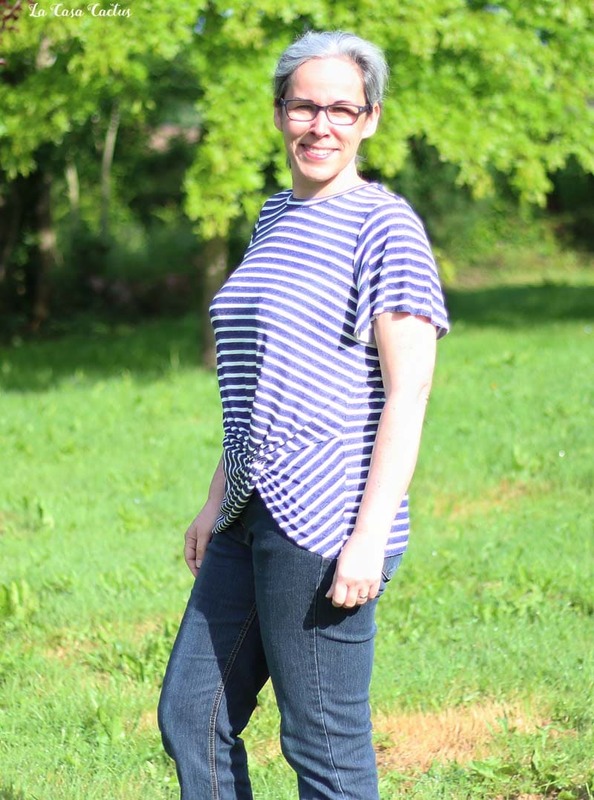 My favorite top so far was the Beausoleil Top (I made two of them, here and here), but the Nottingham top might be my new favorite one! 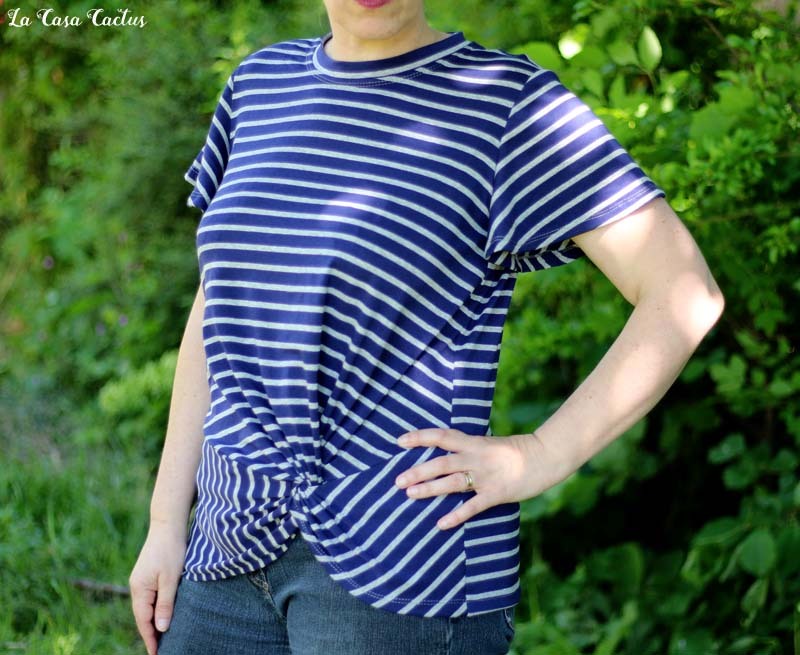 The Nottingham top is a t-shirt with a knotted hem at the front. But the knot is no simple knot, it’s much more of that, it’ s a piece of art in itself (but not difficult to sew AT ALL!!!). As per usual, Kennis offers us a pattern full of instructions and useful tricks and tips. This a layered pattern, where you only print the sizes you need. You can easily blend sizes and Kennis helps us with that step. BTW, the Nottingham Top has 3 sleeve options: butterfly, elbow, and long sleeves. Perfect for a year-round Nottingham look. This top is meant to be slim-fitting. 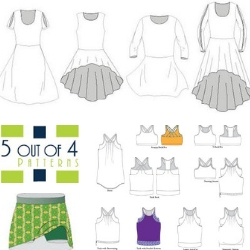 Since the finished garment measurements are given you can easily choose the right size. So my own measurements put me in size 8 bust/waist and a size 10 in hips. 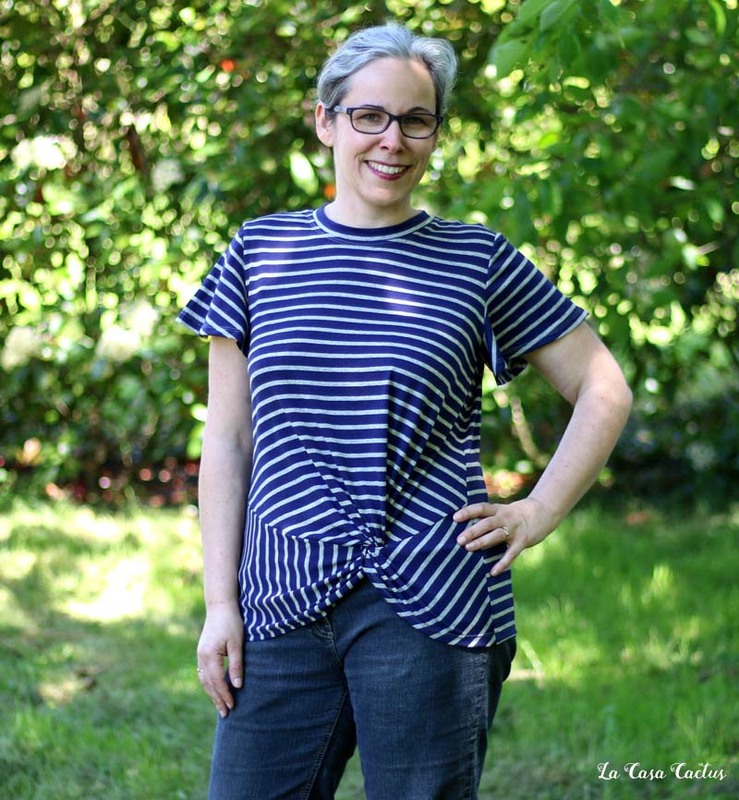 After having looked at the finished garment measurements, I chose to sew a straight size _…and I was right. Nottingham #2 was cut as a straight size 6 with my usual narrow shoulder adjustment. That was much much better. The way the fabric drapes is really important, expecially if you plan to sew the butterfly sleeves. 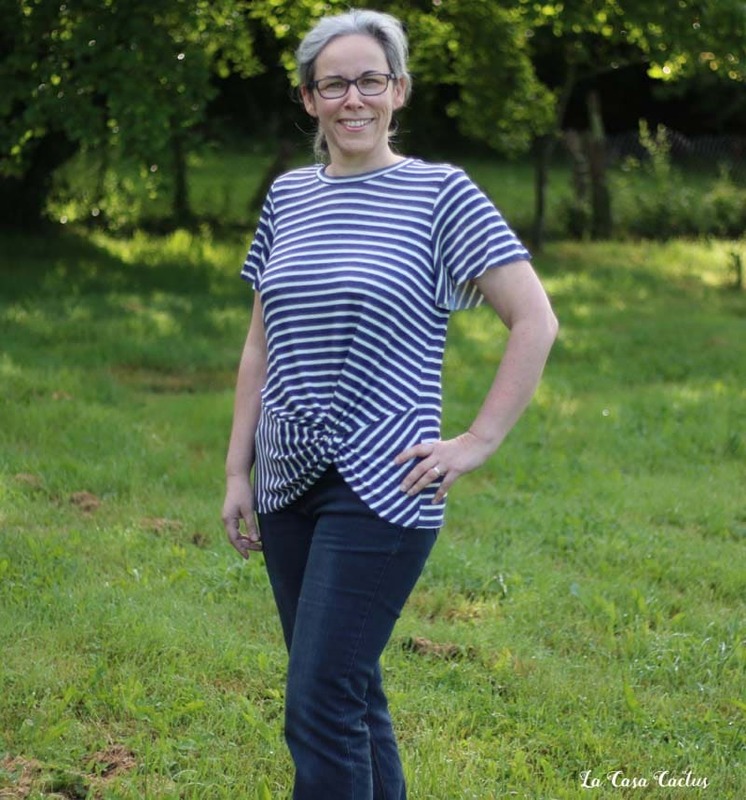 I’m so fond of stripes…….and they almost match!!! Yeah, definetely!!! It’s a quick sew once you know how to knot the fabric in front. I really crave a floral Nottingham, as the ones I saw during the testing phase. Do you plan a Nottingham? You should since there’s a release price. Fabrics: knit with 75% stretch (and good recevry for the neckline).